Scandal Photos from "Kiss Kiss Bang Bang"
Check out these pictures from Scandal Season 3 Episode 14. Find out now what Olivia and company will be up to in "Kiss Kiss Bang Bang." Olivia and Fitz look shocked. Is Cyrus sharing news about Sally or could it be something worse on Scandal? 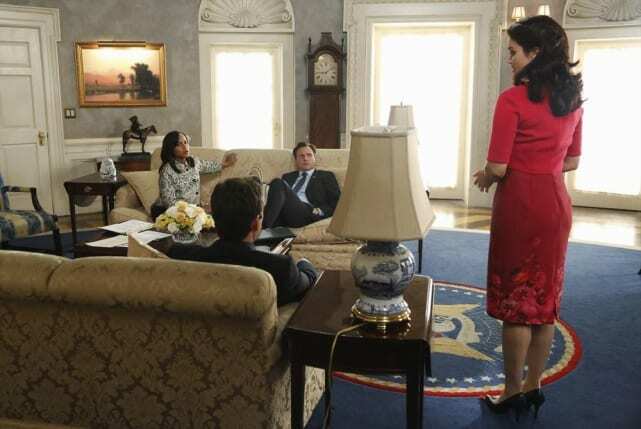 This foursome makes quite the odd team but their main goal is to keep Fitz in the Oval Office on Scandal. 3. Is It Just Us? 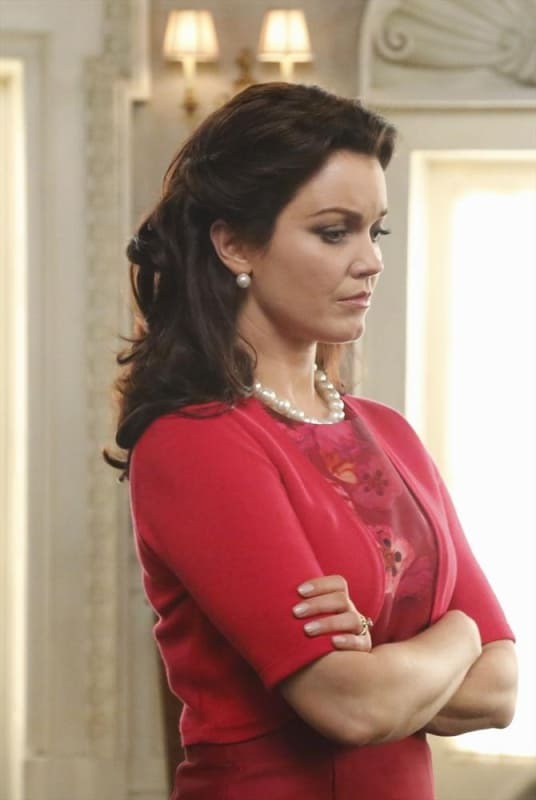 Is it just us or does Mellie look like she could use a hug? Could Andrew be called upon for that mission? Abby looks concerned. Is it about David or one of the other gladiators? "Kiss Kiss Bang Bang" is the 14th episode of the show's third season. 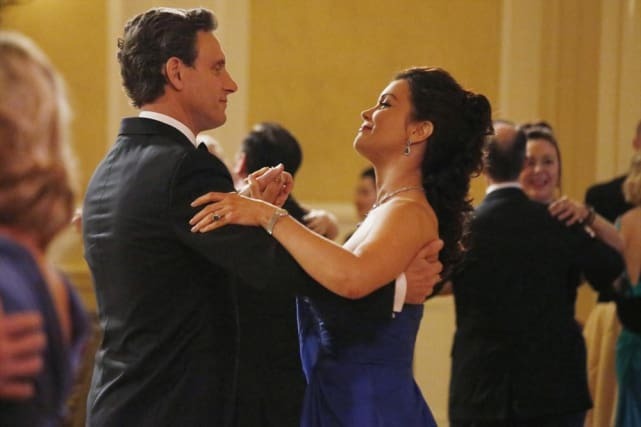 Fitz and Mellie always know how to make it look like they are a happily married couple on Scandal. 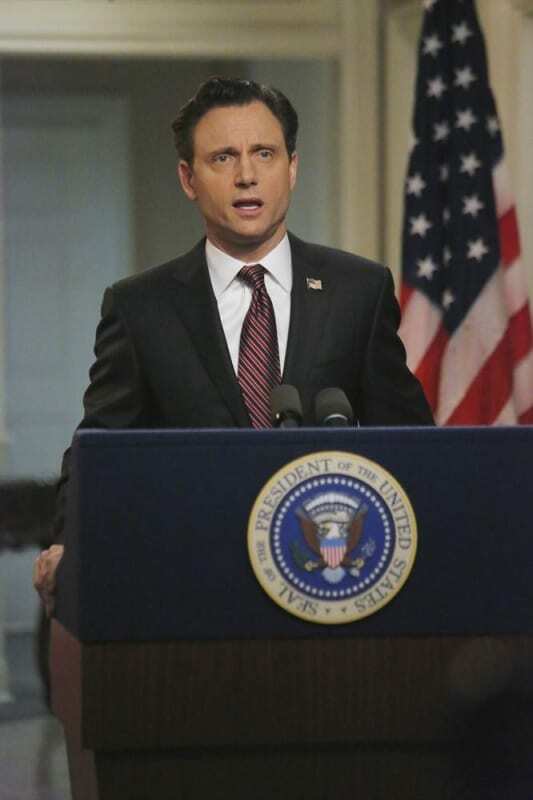 Has Fitz underestimated just how much of a threat Sally will be to his hopes to remain the President? 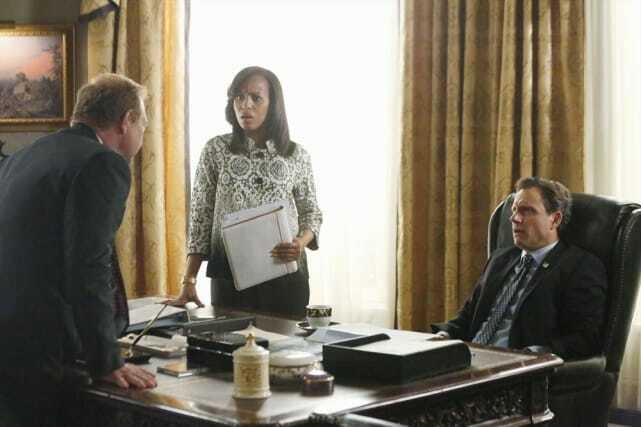 Scandal First Look: Sally's Packing Heat! Scandal Episode Promo: Who Got Shot?!? Scandal Round Table: "Kiss Kiss Bang Bang"